You can now sign up for stacks of fun at this year’s ‘Fun on the Farm’-themed event for the discounted price of £12 per adult and £8 per child using code NEWS18 at www.rowcroftsleepwalk.org.uk until Saturday 31 March. 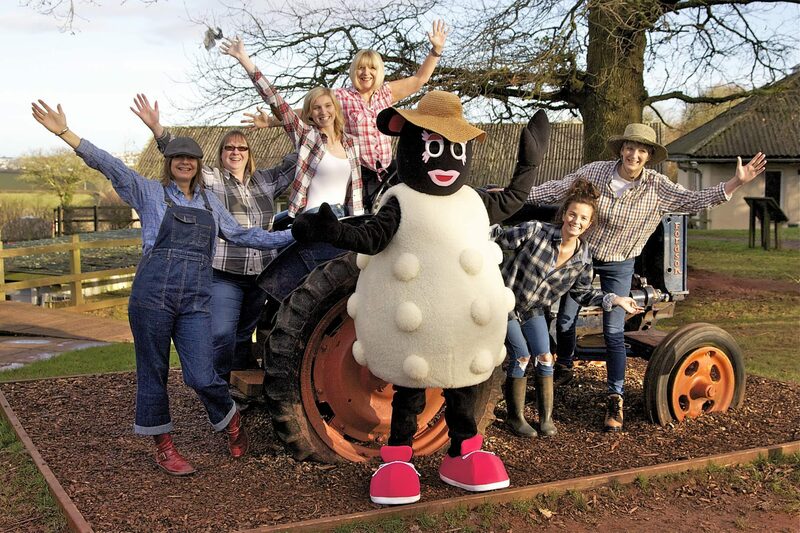 The seventh Rowcroft Sleep Walk promises to be baa-rilliant fun as thousands of ladies are invited to complete their choice of five or ten mile routes and help raise vital funds for local families living with life-limiting illnesses. Daniel Robson, Rowcroft’s Events Manager, said: “Last year our fabulous Sleep Walkers managed to raise £141,000 for local families living with life-limiting illnesses, taking the total amount raised by this incredibly popular event to more than £1,200,000! Abi and Poppy Jones’s Mum, Faye, was looked after by Rowcroft from 2016 to 2017. The sisters took part in The Rowcroft Sleep Walk last year and are now encouraging others to sign up and help raise vital funds for the hospice. They said: “Rowcroft looked after our Mum and helped us enjoy time together as a family, the nurses were all wonderful – we could never have known that during the worst times of our life we’d be able to find the best people. This year’s ‘Fun on the Farm’-themed Sleep Walk starts and finishes at Torbay Leisure Centre and all those who sign up will be allocated a start time of either 7.30, 8, 8.30 or 9pm – perfect for catching a beautiful view of the sunset over the Bay and kicking off South Devon’s biggest girls’ night out! Registration is open to all ladies and little ladies over eight-years-old, regardless of their fitness levels, and men are also welcome to join in the fun by volunteering at the event. Places for The Rowcroft Sleep Walk 2018 are expected to fill quickly – so sign up today.